Learning Japanese is quite challenging, but Duolingo is here to help! First and foremost, let’s start with Hiragana, one of three Japanese writing systems. This chart starts from upper right hand side corner, and goes down from top to bottom. Here’re the first five letters. These are the vowels, and pronounce as short vowel sounds. This is easy to say but very hard to do for English speakers. When you see those vowel letters, it’s natural for you to pronounce as long sounds as English letters, a e i o u. This would be one of the best advice to keep in mind as you read Japanese in Romanized letters (Romaji). Reading those vowels with short sounds will definitely help you pronounce the rest of the Hiragana. 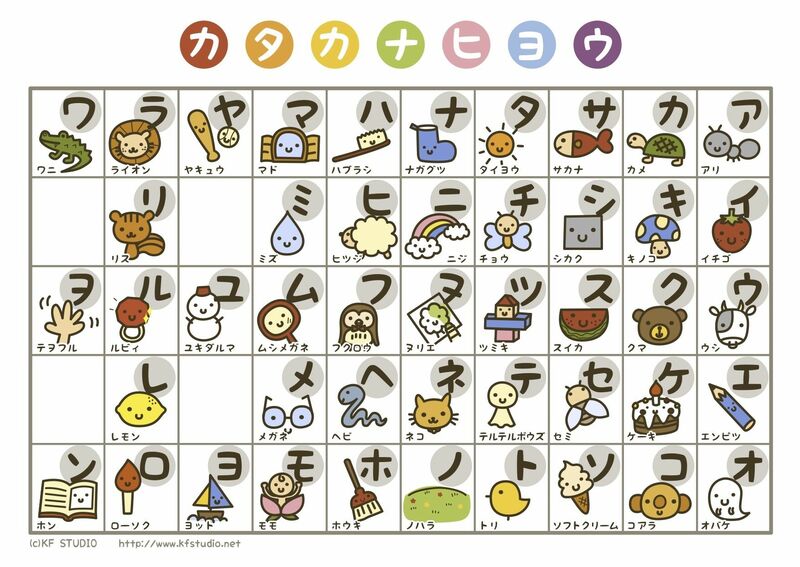 This is the top row of the Hiragana chart from left to right with the irregular words added at the end. As you can see, the vowel “a” (あ) is combined with a consonant “k” to make the word “ka” (か). So, the rest of the chart will be the same: a consonant followed by a vowel. This is the way the Japanese students learn hiragana by memorizing the top row. Thereafter you would go into “ka” (か) column, and follow “ka, ki, ku, ke, ko” (かきくけこ), the next is “sa” (さ) column, “ta” (た) column, and so on. Once you learn the vowels, the rest is quite systematic. “Wa, wo, n” (わをん) are the irregular words. Also, the “ya” column only has three, “ya, yu, yo” (やゆよ). In Japan, scripts can be written horizontally or vertically. Hiragana chart is usually written in the vertical writing (top-bottom) in the same way as in school textbooks for Language Arts and newspapers. Most literatures are also published in vertical format. However, more and more books are written in horizontal writing (left-right) as you see in digital world. Manga frames still tend to flow in right-to-left horizontal direction just as in the hiragana chart. Now that you learned the trick to pronounce Japanese words, you know it's "Sake" (酒／さけ) not "Saki", and "Karaoke" (カラオケ／からおけ) not "Karaoki". Knowing this, you'll also be able to avoid the common mistake of saying "Poke-EE-mon"! For those who know kana (both hiragana and katakana), there should be the option to not see romaji, and allow for not having to relearn kana when you know it. Waste of time. Also, allowing people to type out their own Japanese sentences instead of picking out from the bubble options, and speech practise. Those add-ons in your Japanese settings would help a lot. Also, to write out the kanji/kana on the screen to test their stroke orders. THANKS! Thank you for your suggestions! I will let them know. I agree, there should be ones with just audio, with the multiple choice of the hiragana and katakana, instead of seeing the english sounds, it would help me a lot. I only started three days ago . Not knowing any kana . And would agree about the romanji its kind of off putting and being able to write out would be great. However, I am a big fan of your suggestion for opting out of romaji and learning kana. They should have a skills test for kana in the beginning and if you pass, you just skip to the initial vocab they would have integrated with the kana lessons. I wonder why this is not directly below the very first lesson. It would be so useful if it were, with sound files when you click on each character. So I started with the first lesson of Hirigana the other night and thought to myself "I feel like there should be an introduction because they're just throwing things at me and it's confusing and a little demoralizing." Up til today I felt that way, and I just finished the first module of "intro" so....a little ways in... and I just found this page and can't say how VALUABLE this is. It just felt like total unorganized jargon to me but now I can see the chart and know that consonants and vowels are deliberately aligned and suddenly it all makes sense. THANK YOU but this should really be like the first thing you see when you click on Japanese. Just... here's the introduction. Now onto your first actual lesson. Tinycards link is added for your practice! 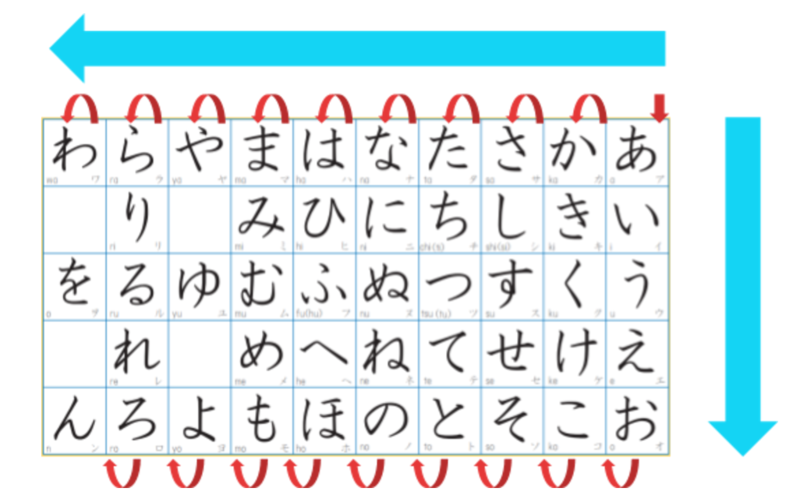 I just started Hiragana 2. I've seen some letters pronounced differently from their English consonants in the Hiragana 1 & 2. So far, I've "ha" sounded as "wa"; "ro" sounded as "do", and "ru" sounded as "u" (almost like a grunt). Any reason for that? The kana は has two pronunciations. 'ha' if it is used in a word and 'wa' if it is used as a particle. The kana 'へ' and 'を' also have this secondary function as a particle and are pronounced as 'e' and 'o' when used as such, but keep their original sounds when used in a word. As for the R-column... you can NOT think of these R sounds like typical hard R sounds (Rah, Ree, Rue, Reh, Roh) you see in English. This would be a complete mistake. Their "R" sounds are more like they are in the middle of R, L, AND D sounds, though mostly between R and L. Usually in English when we make R sounds the back of our tongue is raised to the middle to back of the roof of our mouths to get these hard sounds... JAPANESE on the other hand don't do this. They put the tip of their tongue to the back of their teeth in the front of their mouth with a flicking motion and make softer R sounds; the way that English (or other languages) would make distinctive L or D sounds. The best exercise for this is to start by making L or D sounds with the tip of your tongue to the back of your teeth, even alternating/combining. Then, without changing mouth position too much, try to make R sounds. It should come to a decent middle/balanced place where you can't really tell if you're doing L or R or even a D sound. la, la, la, la, la. - da, da, da, da, da. - la, da, la, da, la, da, la, da, la, da. - la, da, la, da, ra... etc. for all the kana Ra, Ri, Ru, Re, Ro and you'll eventually get it. I was a little irked when I encountered that myself. I feel like it's a little misleading, because Japanese does still include the "ha" sound, and they just gloss over that and it possibly teaches people to always sound out "wa" whenever they would see that. "The Hiragana は (ha) is pronounced "wa" WHEN it immediately follows the topic of the sentence. This character is usually only pronounced "ha" when it is part of a word." Because the 'は' kana is also used as a particle. When used as a particle, like after the subject of the sentence it is pronounced 'wa'. If it is part of an actual word like 'はな' (flower) or 'はなせる' (to speak).. it keeps it's own 'ha' sound. Urm, there is one more but it's not a particle. The 'tsu' kana can be used to show you when to hold a beat when 2 consonants are together if it is the small 'tsu'. Japanese doesn't normally have two consonants together all willy-nilly and you do NOT pronounce the small 'tsu'. Whatever the following consonate is you hold a beat for it before continuing. These are all 3 syllables. Can we expect more posts like this to come out in the future in the place of Tips and Notes? 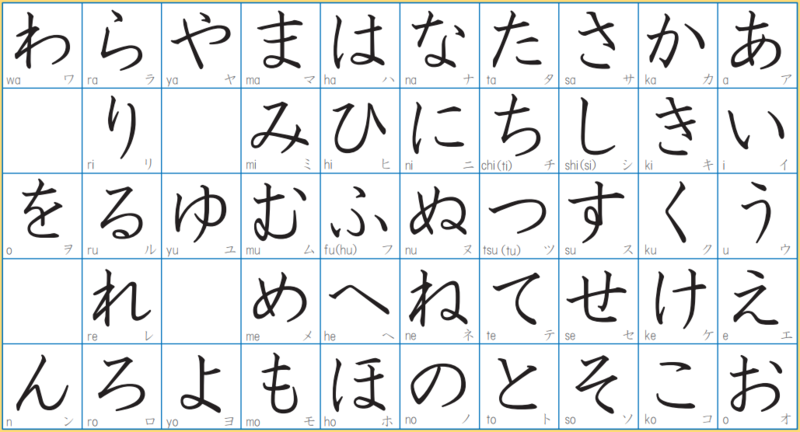 Hiragana always confuses me with the letters that look alike and such, is there any method you think that I could use to help me remember the distinct letters and their pronunciation? Practise writing the charts out by hand on a dollar store dry erase board, over and over, then do it from memory. Making sure to speak each kana as you write them out, make sure you use sites that help you hear the pronunciation and making sure to get as close as you can (recording your voice helps a lot). Then make your own physical kana decks (hiragana and katakana) w/one side the kana, and the other side how it is said with one basic word like ね: ねこ Cat and カ: カラオケ Karaoke. Also, write out vocabulary and say them as well. Using speech with the new writing characters help most. 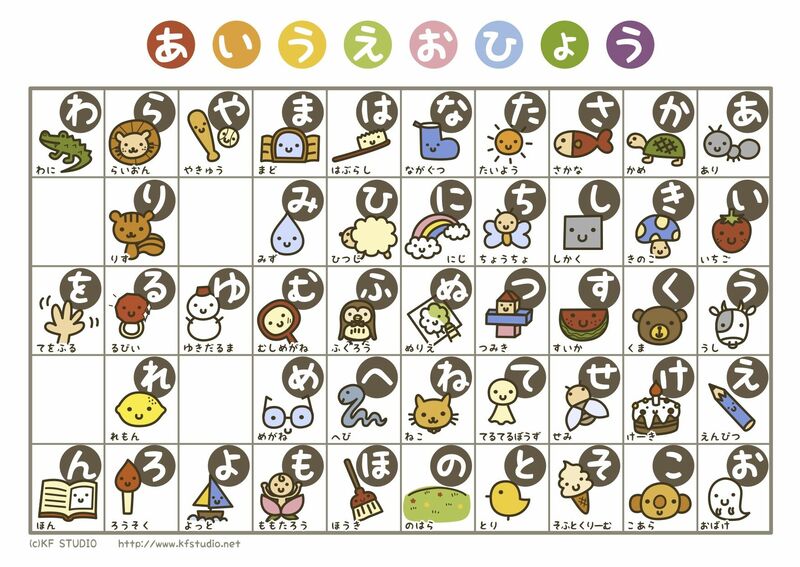 Also put a print out of the kana charts especially Japanese kids version, so it has vocab on them along with the charts. Immerse yourself in them and you'll learn them. I hope they start making the Japanese learning better so they can allow you to say words and be able to judge your pronunciation, also using Siri or Google Assistant in Japanese to search for things helps pronunciation as well. Immersion is key in learning any new language. Unfortunately I live in the middle of Texas, the only Japanese I'll ever be able to immerse my self into it, is a romanji sushi menu. Their romaji on menus aren't even that great either, so many mistakes! I've just started with lesson 1 and made pictures/stories out of the symbols; for me it seems a great way to remember them. I practiced them in sets and eventually I just... knew them. I'd do a set a week: sing them, write them, have post-its on objects around the house that they started with (This is really good for katakana. ラグ Ragu, post-it on my rug in the bedroom, ベッド beddo, post-it on the headboard of my bed. ), make art with them, flash cards, make lists of words they started with without looking up in dictionaries.... it made all the difference for me having them in groups and being creative with them. Made it easier to recall, 'oh I need ラ ra, I saw it every morning when I got up. Made sure not to step on it.' or 'べ be, right! That was on my bed! It lost its stickiness and I kept having to pick it up when it fell'. etc. HelpfulDuo can you add a romaji for beginners as well as in korean? I have another question HelpfulDuo...was wondering how come there's no kanji and katakana in the course? or it will be added sometime in the future? It would be fantastic if the course were for Spanish speakers. My brain goes from Japanese to English and then to Spanish and I get confused haha. the problem for me is that I am native Spanish speaker and I am still learning English but thank you very much for the course, although the course is still in beta. When it comes to writing in the Japanese answers, I have difficulty in making some of the letters small, like the small tsu and the yo and yu in today and nine. Is there a way of doing this on the keyboard (similar to using shift to create uppercase as opposed to lowercase in English)? Couldn't find a better place to report bugs, so here goes: I just did a Strengthen test on Hiragana 2, and it asked me to translate の む five times in a row! Doesn't seem to be selecting questions as intended. "Knowing this, you'll also be able to avoid the common mistake of saying "Poke-EE-mon"!" YES! FINALLY SOMEONE GETS IT! There are too many people who pronounce it that way, and it's my all-time pet peeve. There's a reason the é has a diacritic over it! YESSSSSSSSSSSSSS I agree so much!! This helped out a lot thanks. I think flashcards might be helpful? I don't understand what to pronounce し as it is pronouncing 'chi' and it is written 'shi'. The sounds are really close so unless your advanced or native it's going to sound muddled. Something has been bothering me. I have seen that some letters are not written the same way, compared to others places that I've seen them, specially a(う) and ri(り). This is how they look when I see them when practicing with Duolingo. But when looking at the table you provided they look noticeable different, especially ri, where we see 2 separated lines. I've seen this other places as well. Why is that? Just has to do with the font. Different fonts show certain characters 'drag marks'. Remember that these were written with calligraphy brushes. Think of it's like the difference between print and caligraphy or sans fonts and serif fonts. る is pronounced "n" instead of "ru" in this course. Is that intentional ? I compared it to google translator and some youtube videos just to be sure. Ru る of course is never pronounced as ん. Honestly the Japanese course is still loaded with errors. I’ve been keeping my tree guided to see if they’re making changes, but it’s still really bad. Some of the other trees are very well done, but Japanese is not even close yet. Apparently there are some errors that have not been corrected.